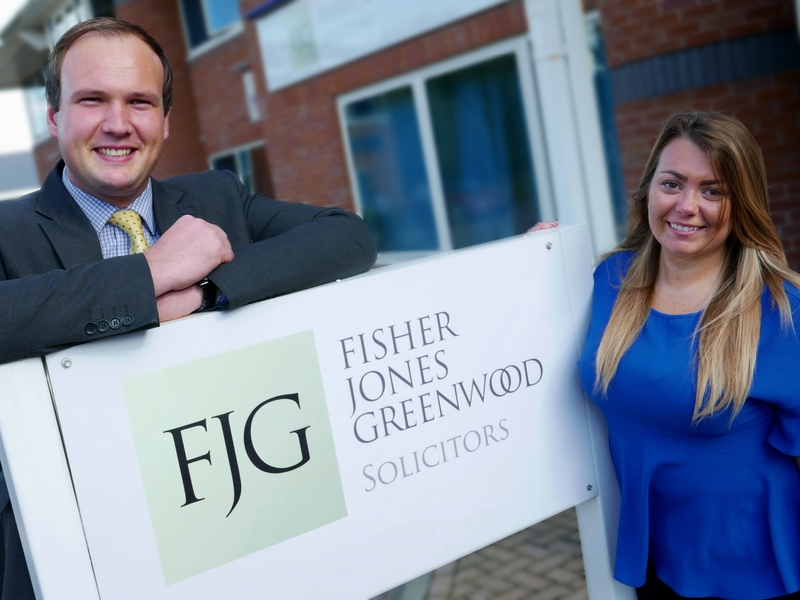 Fisher Jones Greenwood is celebrating two internal promotions confirming its continued commitment to professional staff development. Ties Bouwmeester qualified within the Family team, whilst Lauren Hancock commences her training contract, her first seat being in civil litigation. Ties Bouwmeester qualified as a solicitor on the 1st of September and is based at the firms Colchester Business Park. Ties joined Fisher Jones Greenwood as a paralegal in August 2012 after graduating from the University of Essex. He completed his LPC with the University of Law in Bloomsbury, having studied Family Law, Commercial Dispute Resolution, Personal Injury and Clinical Negligence. Lauren Hancock has been with the firm since 2015. She completed her undergraduate degree in Law and American Law at the University of East Anglia, which involved studying at the University of Birmingham, Alabama for one year. Lauren has previously worked within the legal costs sphere as a legal costs draftsman and negotiator. Managing partner Paula Fowler commented on the double success, “Fisher Jones Greenwood is a great supporter of developing the next generation of lawyers and seeing these talented individuals achieve the next step of their careers is fantastic. We are looking forward to the significant contribution both Ties and Lauren will bring to the firm in the years to come”. Fisher Jones Greenwood is an award-winning law firm based in Central London with offices throughout Essex. The company provides a full range of commercial and personal legal services, is listed in both the Legal 500 and Chambers directories and is Lexcel accredited. With over 30 years’ experience and 160 staff, Fisher Jones Greenwood is one of the fastest growing law firms in the area. For more information, please visit www.fjg.co.uk . Media Contact: Matt Cann at Fisher Jones Greenwood on 01206 835215 or email mcann@fjg.co.uk. For further information, please visit: www.fjg.co.uk or follow us on Twitter @fjgsolicitors, Facebook /fisherjonesgreenwood or LinkedIn /fjgsolicitors. Solicitors for you, your business and your family, with offices in central London & across Essex. © Copyright 2019. Fisher Jones Greenwood LLP.